March 2014 – He Said What?! 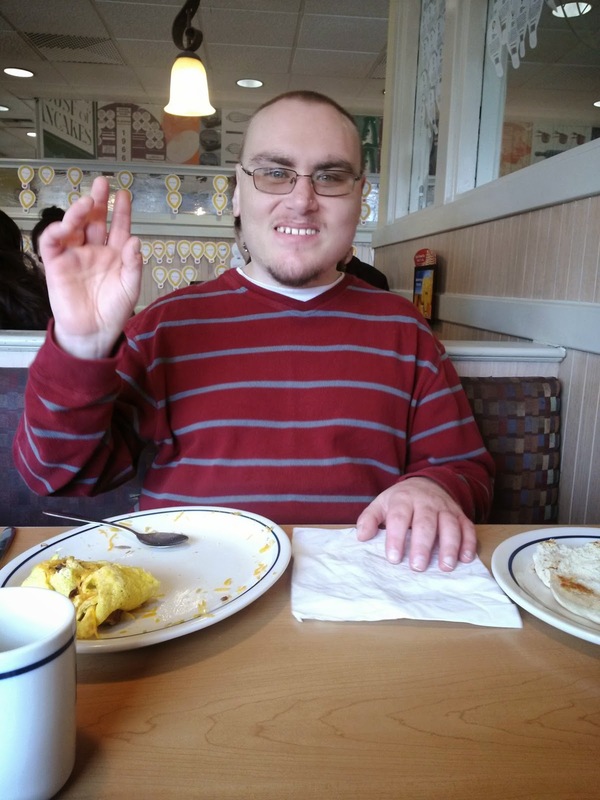 I often write about how up and down life with Aaron is, because Aaron is up and down. Aaron can be happy when he first gets out of bed in the morning, like he was today, but an hour later he might be telling me to shut-up. Yes, he does that at times. Or he may be grouchy and tired first thing in the morning, but by the time we leave for his group he is bubbly and anxious to get on with his day. I guess we’re all like that, but sometimes for Aaron it’s much harder to predict or to control. One day on the way to meet his group, Paradigm, Aaron said, “Mom, I’m so tired. I got up at 6:10. I went to bed at 10:21. I need some excitement today to keep me from being tired!” I laughed……partly because Aaron usually provides enough of his own form of excitement to keep everyone from being tired. Unless they’re tired of him, which is often the case. Sometimes Aaron starts off well at Paradigm but then the day deteriorates for whatever reason. He likes to call me in the afternoon if he can, and I can tell by the sound of his voice how his day is going. Like he said one day, “When I first arrived at Paradigm, it was a good day…….but later on it wasn’t.” Then I just hang on as I listen to him tell me why later on it wasn’t a good day…….or I try to gently drag the story out of him, piece by piece. The piece by piece business may take a while, sometimes even into the next day. Patience is a requirement when dealing with Aaron issues, that’s for sure. Aaron has gotten so that he often won’t go out on the group activities with Paradigm. They go bowling, go to the mall or to other shopping venues, go to a movie on most Fridays, teach the clients cooking skills, go to City Arts for some painting or craft fun, and are now doing some volunteer activities, among other things. None of this is of any value to Aaron, though, if he refuses to participate. And don’t EVEN tell me that you’re bored, Aaron Daniel, if you won’t get out of the chair and head out the door!! But I always remember what Aaron’s special, wonderful teacher…….Mr. Z……..told us years ago about our special children. He said that sometimes we have to make it worth their while. We call it rewards, although sometimes I think of it as Bribery 101…….and we will always be in that class. I tossed our parenting books out the window with Aaron. So last week we decided that we would have a reward for Aaron on Fridays if he participates in the daily activity at Paradigm during the week. For this past Friday, he didn’t pause for one second before saying that he would like his reward to be a Papa Murphy’s pizza. Simple enough. On Friday morning, before we met his group, he reminded me that if he finished the week with doing his Friday activity – a movie – that we had promised him a pizza………a Papa Murphy’s pizza. I smiled at his way of putting things, and I assured him that I would keep up to my deal. Supper that night was his reward. 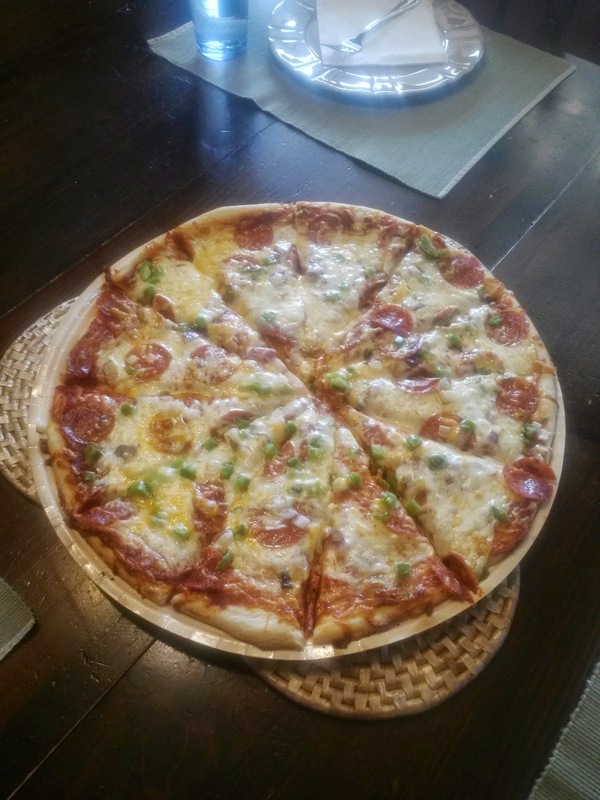 There was the pizza…….the Papa Murphy’s pizza…….for supper. And afterwards Wheel of Fortune, with Aaron getting silly and comfy in his favorite chair. Now a new week starts, and we are once again ready to keep up to our deal. The big question is if AARON is going to keep up to our deal. Do we need to reshape the deal a little, maybe saying that if Aaron does four out of five days of activities then he gets a Friday reward? Who would have thought I’d be having these inner discussions with myself over our almost 30 year old son? Not me, that’s for sure! But God knew and He daily equips up with what we need, even when we don’t feel like He does…….or we feel like we totally blow it, and don’t keep up to our deal. And that happens more than I care to admit. But as for this deal with Aaron………Aaron won’t let us blow our end of this deal. He will remind us daily, several times daily, of our deal. And if I know Aaron, the deal itself may get old to him because it requires his obedience. How human is that? We may have another bridge to cross……..another deal to make. We usually do with Aaron. We’re deal makers and he’s usually the deal breaker, so then we become deal RE-makers. Life with Aaron. Exciting and humbling. But we’ll keep up to our deal and just do our best, day by day, with God’s help. I believe there’s a reward for that. I love how God reaches out to me through His Word, and often through little known characters, in order to either challenge or bless me…….and sometimes to do both. Once again I was reading in 2 Kings this morning, this time in chapter 5. It’s another story that we are familiar with, but it’s the unfamiliar that spoke to me today. We remember Naaman, the captain of the army of the king of Aram. He was a great man and highly respected because God used him to give victory to Aram. Naaman had easy access to the King of Aram, so he was right up there hob-nobbing with the great ones. He was wealthy, too, with money and property and servants. There was one problem, though. Naaman was a valiant warrior, yes, but Naaman also was a leper. Lepers outside of Israel were not always isolated, but the life sentence was the same. There was no cure. Disfigurement and eventual death awaited powerful Naaman just the way that it awaited everyone who had this awful disease. Obviously Naaman’s wife told her husband what this servant girl had said, because soon Naaman was telling the king about it. The king of Aram wrote a letter to the king of Israel, and soon Naaman was on his way. With him he took a huge wealth of silver and gold, along with ten changes of clothes. He was ready to impress and he was willing to pay the price. Eventually Naaman made it to the prophet Elisha. There stood Naaman in Elisha’s doorway, along with all of his horses and chariots and wealth and changes of clothes…….and servants. I’m sure that was quite a sight to see. Not only a large caravan at the front door, but an enemy caravan to boot. Now wouldn’t you think that Elisha would come out to greet Naaman? It was pretty impressive to have this group show up at the front door. But no……Elisha stayed inside and instead sent a messenger out to give Naaman a message. The message was that Naaman should go wash in the Jordan seven times and then he would be healed. That’s it. Naaman obviously wasn’t used to being treated this way. He was furious as he went away from Elisha’s house. “I thought for sure that Elisha would come out and call on the name of the Lord his God and wave his hand over the place and cure the leper!” Naaman exclaimed. “And furthermore, are not the rivers of Damascus better than all the waters of Israel? Can I not wash in them and be clean?” he continued. So Naaman stormed off in a rage and all seemed lost. Naaman listened to his servants. He didn’t seem to hesitate but instead went down to the Jordan, dipped himself in the waters seven times, and then came out with the flesh of a little child…….pure and clean. What I love about this story is the impact of the servants. The little servant girl…….what’s her name? Oh, we don’t know her name. And those other servants? Now who were they? We don’t have a clue. But look how they were used by God. 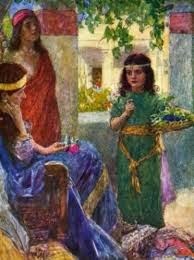 The little brave servant girl set things in motion for Naaman to be healed, and the possible terrified servants of Naaman encouraged their master to obey the prophet’s God and go dip in the Jordan. What if the servants had been afraid to speak to their masters about what they should do? What if they had felt unqualified to say anything? What if they had decided that they really didn’t like their masters and so they would remain quiet? What if that little country woman in the mountains of North Carolina had not spoken to that tall young man back in 1975? That young man was Gary, my husband of nearly 35 years. But back in 1975 he was a disillusioned young man who had been drafted during Vietnam, and had returned vowing that no one would ever tell him what to do again. Gary lived in the beautiful Smokey mountains, working by day and reading philosophy books at night as he sought after truth. One day he was in a grocery store when an unkempt mountain woman, her cheek full of snuff, looked at him and said, “Young man, you need the Lord!” And Gary, with his long hair and his long beard and his head full of philosophy but not truth, was pierced to his heart by those simple words……words spoken by that unnamed woman. He began reading his Bible and remembering the words of his godly grandmother, and one day he cried out to God……and was amazingly saved. But it was the simple words of that simple woman, a woman he never had seen before and never saw afterwards, that caused Gary’s heart to be stirred and brought deep conviction to his spirit. She wasn’t attractive or presentable, even, and certainly not educated or wealthy. She probably had few if any accomplishments. We don’t even know her name. Yet she spoke to Gary, a word of exhortation and challenge, and God took that simple exchange and changed Gary’s life for eternity. My life as well, and those of our children…..and who knows who else? We may never know until eternity how one little word or phrase can change someone’s life. We don’t have to be in the limelight, speaking or teaching before crowds of people, to be impacting other’s lives. So often it’s the behind-the-scenes interactions that God will use the most. A smile…..a hug……a card……a call……a prayer. We just have no idea what God will use. But I know who He can use. God can use you and He can use me, in the very simple ways that are often the most profound. We don’t need to have our names in lights, well known to all. It’s all right. God knows. Aaron decided to watch some basketball with me on Sunday. I was very surprised by this because he doesn’t really like basketball. 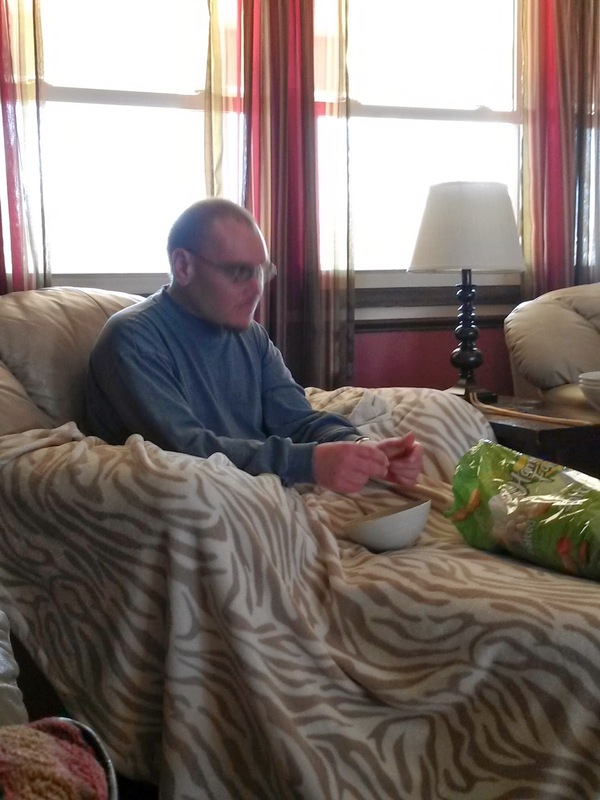 I think he just wanted an excuse to sit on his chair, cover his legs in his favorite blanket, and eat tons of peanuts while he carefully crunched the peanut shells in his peanut bowl. But he was happy, so I was happy. Until I got excited and started acting weird……….according to Aaron. I mean, this is the person (Aaron is) who yells and has ear-splitting claps, as well as various other strange noises and phrases……and he’s telling me I’M weird? My friends who call me on the phone can vouch for who the weird one is in this house. On second thought, maybe I shouldn’t go there. But they can hear Aaron in the background with all of his loud noises. Sometimes it sounds like we live in a zoo! Back to the game. I don’t remember if it was when I enthusiastically said, “All right!” or when I semi-yelled, “Woo-Hoo!” that I heard Aaron say, “I can’t wait to tell Barb what my Mom has done on Sunday.” Barb is one of the managers at Paradigm, and Aaron adores her. I laughed, and then informed Aaron that I was NOT acting weird. “Yes you are, Miss Woman Who Talks Weird,” he answered. OK, so now Aaron had given me a title. That means that he is bothered. It’s his way of telling me that he is bothered……Miss Woman Who Talks Weird. “My mom has weird words,” Aaron flatly said as he crunched open another peanut. I just ignored him, but I wanted to laugh……….as I so often do. Oh, a second name. This was getting more serious. If a first name doesn’t work, and Miss Woman Who Talks Weird is still talking weird, than a second name is in order. Miss Weird Voice Lady just smiled, and tried to curtail her weirdness. But it was a tight game and weird things happen during close games like that. He said it so flatly, with no emotion, that it sounded extra funny. Not WOO-HOO!…….. but for Aaron just woo-hoo. However, laughing at Aaron would have brought out more frustration from him, so Gary and I just chuckled behind Aaron’s back like the good parents that we are…….woo-hoo. Soon Aaron set aside his peanuts and his peanut bowl full of crushed shells. He was ready to quit watching basketball. He had seen enough basketball and heard enough weirdness from Miss Weird Voice Lady……….or was it Miss Woman Who Talks Weird? “Aren’t you going to watch more basketball, Aaron?” I asked as he got up to leave. And he thumped up the stairs to his quiet room and away from Miss Weird Voice Lady. Two nights ago, Aaron and I were watching a show. At the very end of the program the dad was be-bopping around as a one-man band for his daughter’s birthday party. Sure enough, Aaron reacted. Oh brother! Not again with the weird business. This time I gathered MY things up and left the room. Author hesaidwhatksPosted on March 26, 2014 February 28, 2016 Categories Adult Autism, Asperger's Syndrome2 Comments on Mom Has Weird Words! I was reading 2 Kings 4 yesterday – the story of the Shunamite woman. 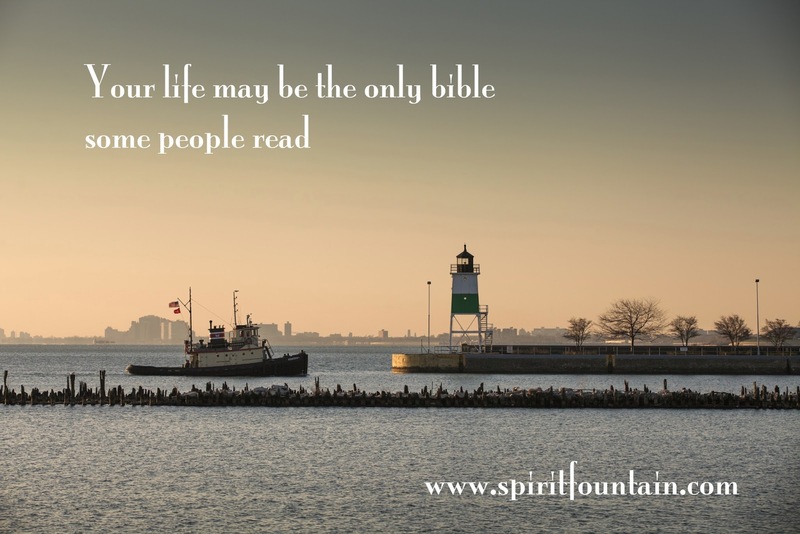 It’s a story you may know, but what I read in my commentary/devotional book by Dale Ralph Davis gave me a new insight that totally blessed me……..so I hope it will do the same for you as well. You probably know the story. Elisha often passed through Shunem on his travels through Galilee. A Shunamite woman of wealth and standing began opening her home to Elisha, extending her hospitality by offering him food and rest. This woman urged her husband to add a room on to their house, a guest room of sorts where Elisha could spend the night. During one of those stays, Elisha decided that he wanted to reward the woman for her kindness. He asked her if he could put in a good word for her to the king or to the captain of the army. The Shunamite woman said no to Elisha, explaining that she had all that she needed or desired right there in her own community. But Elisha still wanted to do something to thank this woman, and so Gehazi, Elisha’s servant, reminded him that the Shunamite had no son……….and her husband was very old. Elisha called the woman back and then proceeded to tell her that by this time next year, she would have a son. At first she didn’t believe it, but sure enough, to this woman and her old husband a son was indeed born. When the son was grown, he went out to the field one day to help his father. He complained of his head hurting and was carried back to his mother, where he soon died. He was placed on the guest bed in Elisha’s room, and then the Shunamite rode a donkey to Mt. Carmel, where she found Elisha. She grabbed his feet and in great distress she reminded him of God’s promise of a son for her. A promise that now ended because her son was dead. Elisha returned to her house, and through God’s intervention the son was restored to life. What so impressed me as I read Davis’ commentary was this: The Shunamite woman, when asked by Elisha if he could put in a good word for her, said no…..that she had all she needed. She had no need of a favor or a good word or anything, really. She had position and money, a husband and a home, and a strong community. No needs. My mind turns to our Aaron when I read these words. He was such a wonderful gift from God to Gary and me. We had been married for over five years when he was born. He was a precious little 6 lb. 4 oz. bundle of blessing to us. Our firstborn! I knew that no other woman on the earth had ever felt as much joy as I was feeling as I looked at him in my arms. I was so proud and thankful. A son! Boys were rare in our family and there I was, with a son. A SON! The days turned into months and the months into years. Then came the seizures, along with behaviors that only increased with age instead of improving. 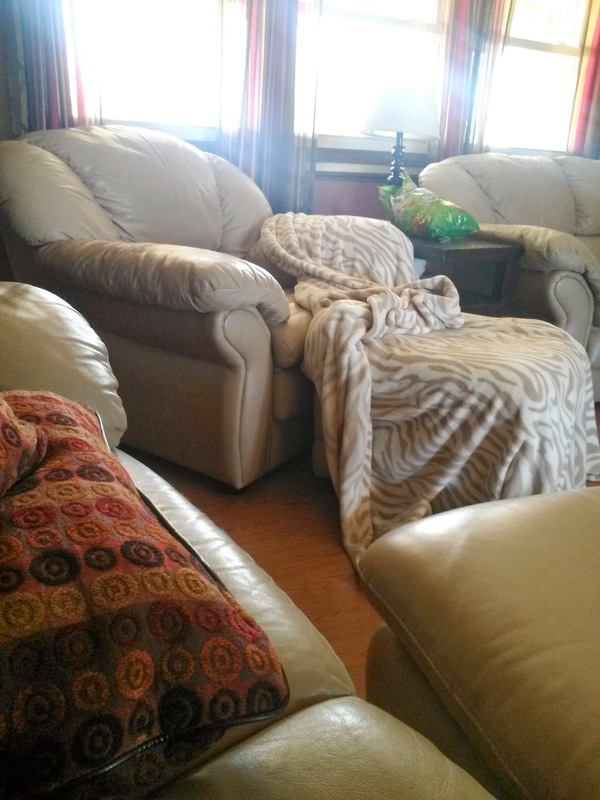 School issues, finding doctors, trying all sorts of medicines, friends or lack thereof, sibling problems, the autism diagnosis, endless meetings with professionals, embarrassments, and constant awareness that our life was often rotating around Aaron. It was overwhelming, and totally not what I thought life would be like for us and our Aaron……our son. 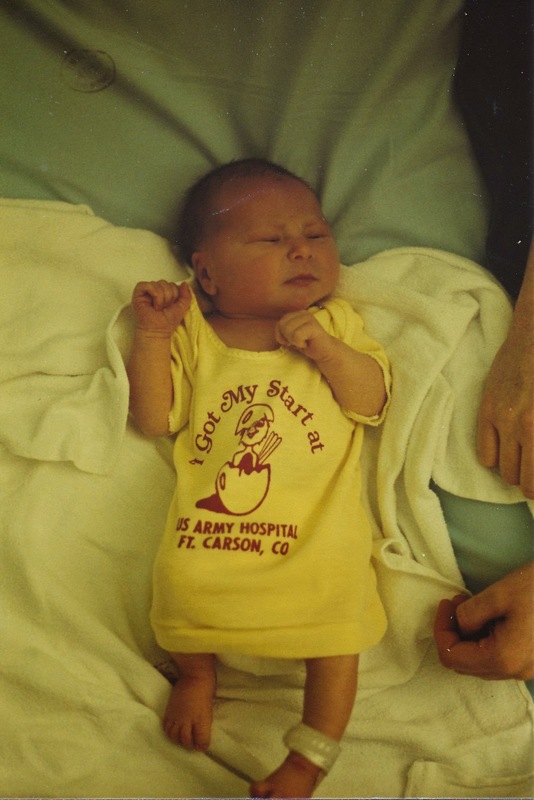 It was often hard to capture that joy and pride I had experienced when he was born. I loved Aaron……I love him now……but it’s often been through a haze of sadness because of his condition, and frustration because of his behaviors. As I read what Dale Davis wrote, though, it hit me square in my heart. God’s gift of Aaron to me has made me needy…..and being needy has made me learn to rely on God in a way I might not have done otherwise. Like Davis said, I have often found myself clutching at the God that I don’t always understand….and that is called faith. “Faith is not serenity,” Davis said. That’s certainly true in my life. Not only is life with Aaron rarely serene, but the raging questions and disappointments in my heart are anything but serene. Is Aaron our thorn in the flesh like Paul had? Maybe. I do know that beside certain verses in my Bible I have written Aaron’s name and a date, my signpost of ways that God reached down and spoke to me concerning Aaron issues. God has certainly used this gift of Aaron to draw me to Himself in a way that perhaps I would not have ever experienced without Aaron in my life. I want to remember that phrase……..God’s gift has made me needy. Needy for God and needy for faith………a faith exercised in sometimes very trying circumstances and a faith exercised without always having answers to my questions. God baffles, but He also blesses. Much like Aaron does in my life………from baffling to blessing, over and over. 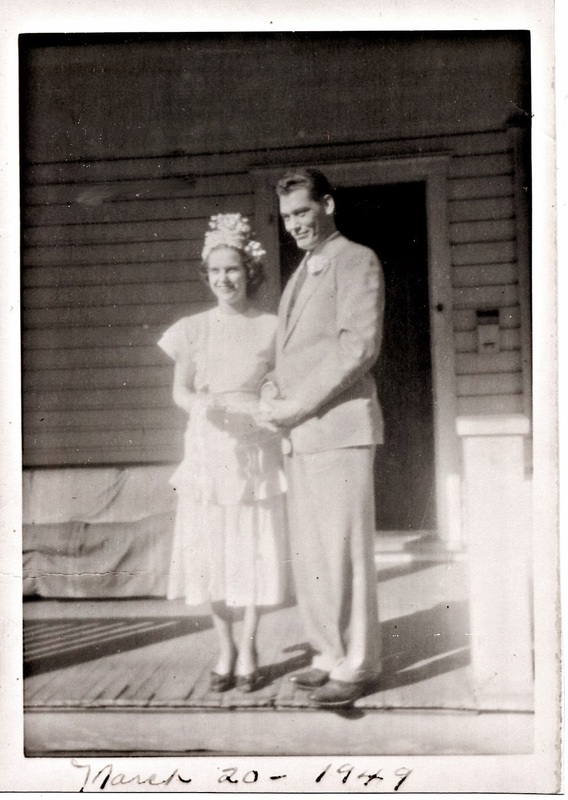 On March 20, 1949, there was a wedding in the little mountain coal town of Welch, West Virginia. Rachel Elizabeth Hollandsworth married James Willis King. They had said they would marry sometime in the spring, but why wait? The first day of spring suited them just fine. Everyone knew them as Jack and Beth. I know them as Mom and Dad. 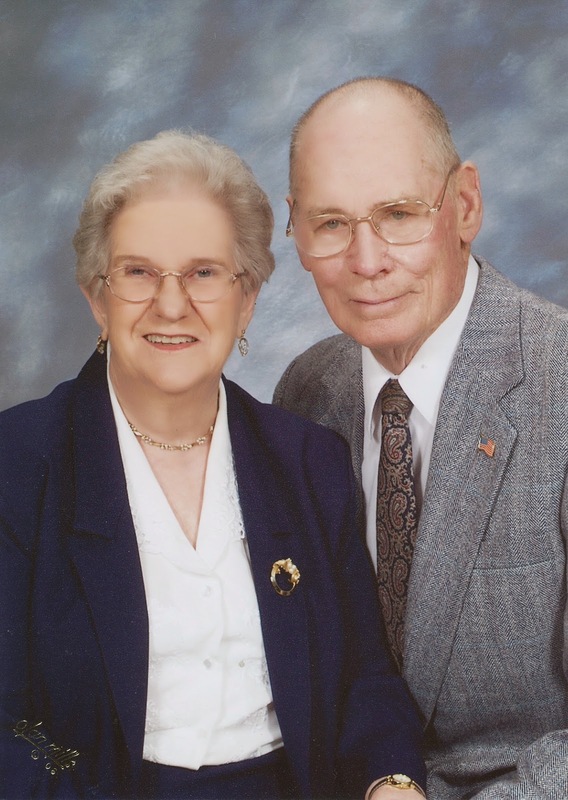 This March 20th would have been their 65th wedding anniversary. I’ve written about their life before. So much can be said about this wonderful pair, but I know that I do not need to repeat what has already been said and written. 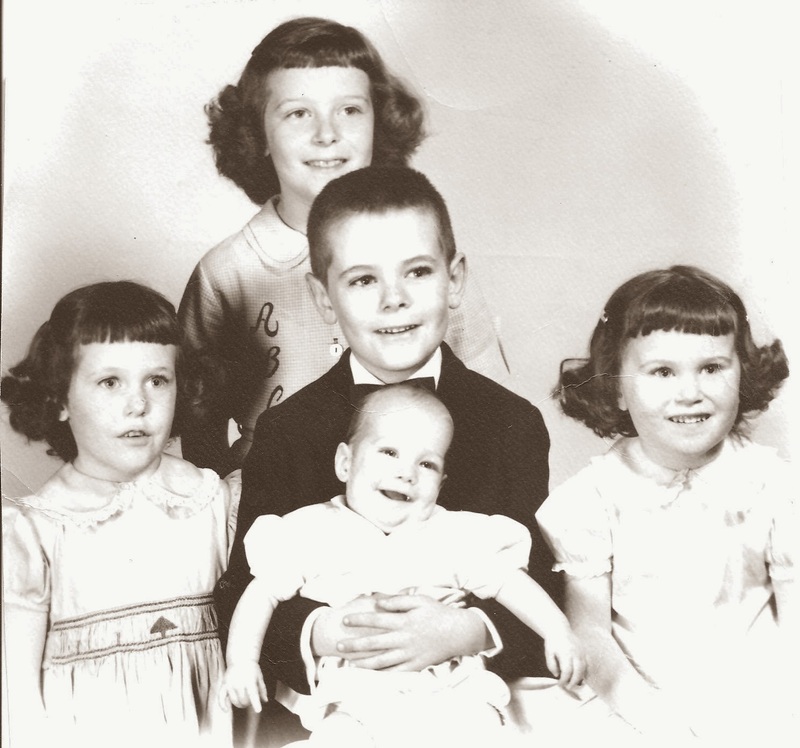 God blessed Mom and Dad with five children, of which I am number four. Mary Beth, John, Jan, and Kathryn round out the quintet. 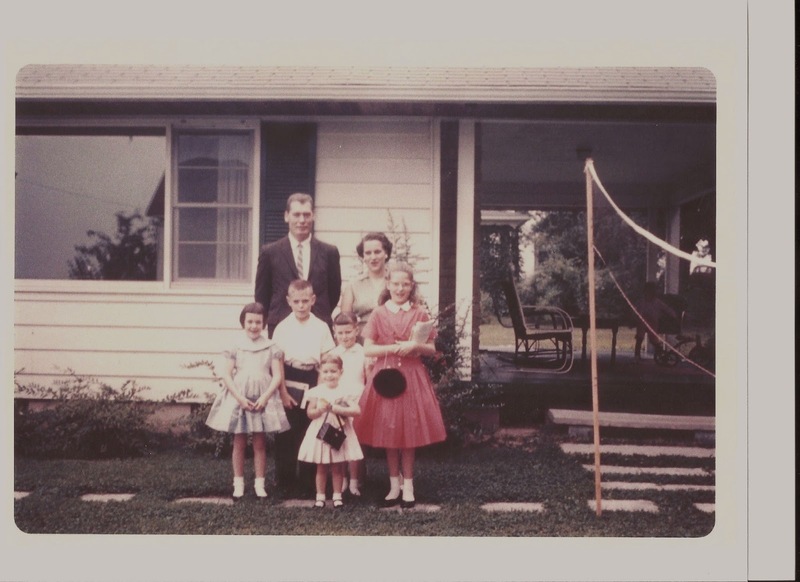 We grew up in Princeton, West Virginia, where Dad worked for the Norfolk and Western Railroad, and Mom worked to direct the school lunch programs in thirteen counties. 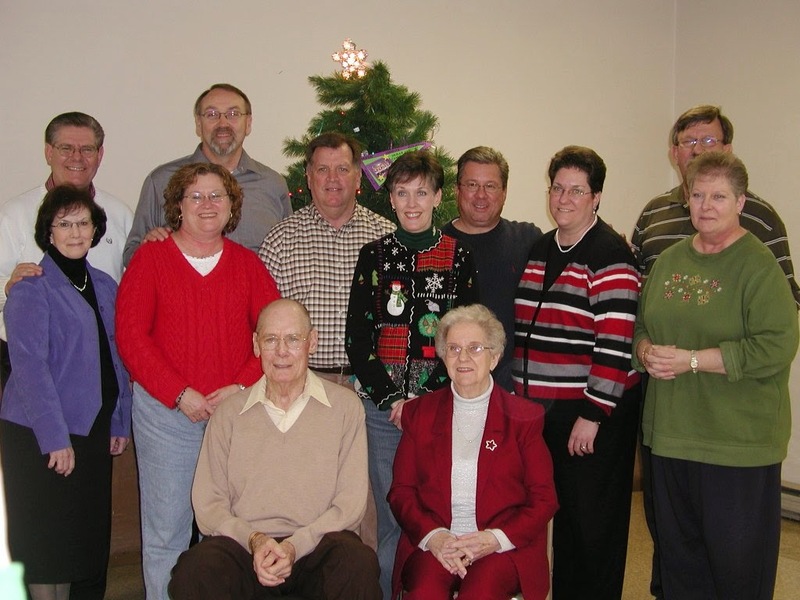 We were a close family, with Mom and Dad being very involved in our lives despite their busy work schedules. The most important heritage that was given to us was spiritual. Mom and Dad came to know the Lord after they were married, Dad first and then Mom some time later. They both made sure that we were faithful to attend church all during our years of growing up, and also made sure that we each were developing our own intimate walk with the Lord. I remember so many great times in that house on North Third Street. So much laughter, good food, games, friendships, and fellowship with not only each other but with others……..friends, college students, missionaries, preachers, extended family. As the years went on, there were hard times, too. We were not immune from the trials that everyone faces. 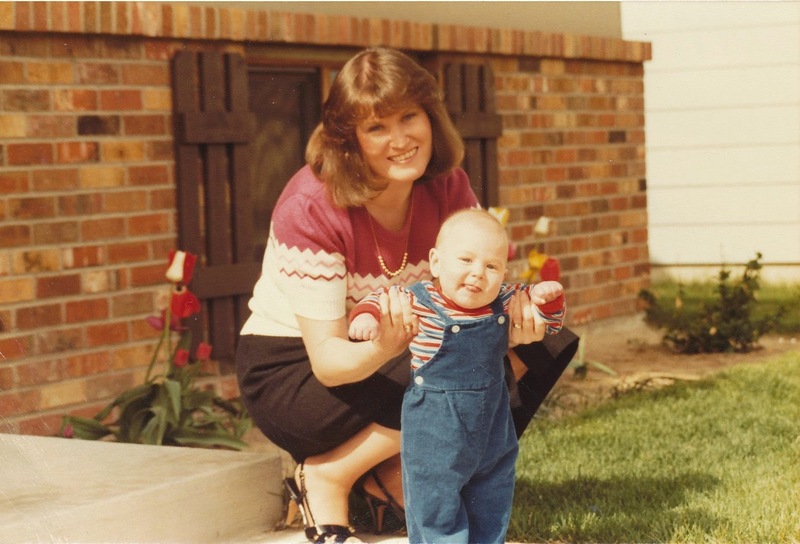 There were tears and stressful situations and heartache…….but we always had each other, and we always had the Lord that Mom and Dad had taught us to lean on over the years. Each of us kids married and left home. Mom and Dad eventually retired within months of each other. Instead of going their own ways, they became closer than ever. They never tired of each other’s presence. Rarely would one make even a quick trip to the grocery store without the other one going along. They held hands and kissed often, and just shared all that life had for them……together, totally. This included Dad’s lung cancer and then four years later his liver cancer, and finally his death in December of 2008. 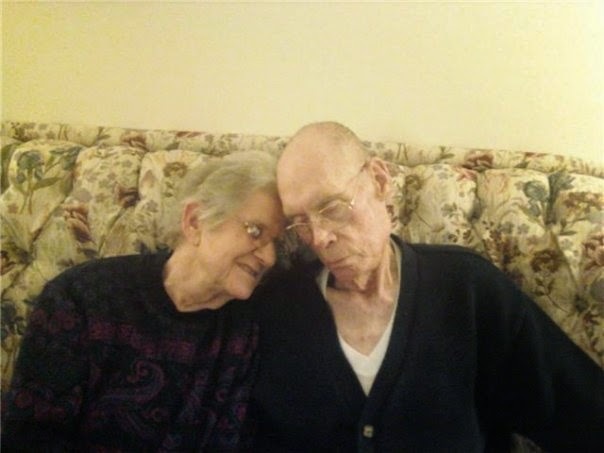 Mom never left his side……never wavered in her care for him…….and neither of them ever faltered in their love for the Lord and for each other. 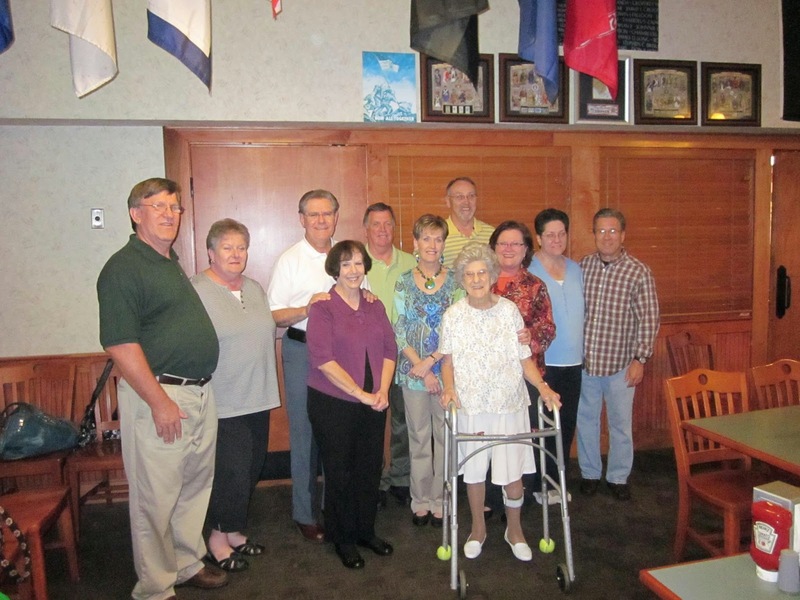 Mom now lives in a beautiful assisted living facility where she is well cared for. Bob and Jan, and John and Jeanie, take excellent care of her as well. No amount of love and care, however, can take away from her the insidious effects of Alzheimer’s. Mom is basically happy, yes, and mostly healthy. But the mother that we have known all of our lives is gone now. Forever gone. “Who is this?” she replied. I told her again who I was, and she asked, “And WHO is this?” She had no idea that Patty is her daughter, even after I told her. She has no memory of her children, except for seeming to still know Jan. She is surprised every Sunday that the man preaching in the pulpit is her son. And when told that she has five children and then is given their names, she says, “I had all those children?” Bob wrote all of our names on a picture of us, but Mom has no emotion or connection when she looks at it. She doesn’t recognize anyone in the picture, including herself. Of everything and everyone that she has forgotten, the most amazing and the saddest one that she has forgotten is Dad. At first Jan and John weren’t sure that she had lost her memory of him, but she has shown over and over that she really doesn’t remember him. She shows no recognition of his pictures. When she passes the cemetery where he is buried, she only talks about her parents buried there…………not Dad. The doctor said, “No. Jack.” And suddenly, at the mention of his name, Jan said that Mom’s chin began to quiver. It didn’t last long, but there was an unmistakable connection there……maybe a memory? Deep inside, maybe she does slightly remember the wonderful man that was her husband for 59 years. But it’s OK, Mom. We’ll remember for you now. We’ll remember all the years…..all the love…..all the treasures of the life that you and Dad built together. We’ll remember your devotion to each other……..your laughter and silliness and fun………your faithfulness and your routines and your enthusiasm for life. And what a life it was! We have no reason to be unhappy about that at all. We’ll remember the jokes and the family stories and the music…..oh, the music! Especially “Oh It Rained, Rained, Rained,” which we are all sure that we will get to sing in heaven. As long as God allows, we will remember what you have forgotten. And we will honor you and Dad for being the most wonderful parents, and the most loving husband and wife, that we have ever known. You won’t realize that it’s your anniversary on this March 20th, but we will know. You won’t even remember Jack……Dad……but we will remember for you. We will remember, and we will be thankful for this most precious gift……this gift of memories…….this gift of you and Dad. Happy Anniversary, Mom. You are loved. We remember. Do NOT Talk About This Color Thing! I did make sure that Aaron was wearing a green shirt today. Not that he cares one little bit, but I do care. Not that he cares that I care……well, you get it. 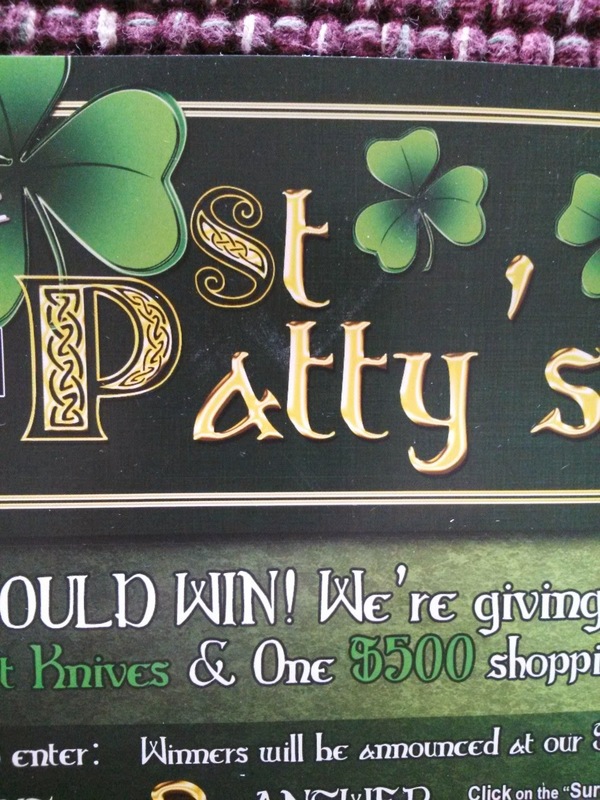 I decided not to make a big deal about today being Saint Patrick’s Day. That’s because Aaron might see it as some sort of holiday or a day to celebrate, and he does not usually like celebrations. All the noise of parties, and people acting weird (that’s how he sees it! ), makes Aaron most unhappy and uncomfortable. He also feels like something extra is expected of him but he isn’t sure what that something is, so he becomes very irritated and then very vocal. A very irritated and vocal Aaron can ruin the best of celebrations. I thought, though, that maybe I should tell him his shirt was green. You see, Aaron is color blind and I knew that to him his shirt probably looks like some shade of brown. I didn’t want others at his day group to maybe say something about him wearing green and then have him being clueless, so I told him this morning that his shirt was green since it is Saint Patrick’s Day. I should have left it there, but then I had to go and say something about knowing it might look brown to him. Yes, Aaron, that’s because the furnace came on. No, spring starts on March 20……this Thursday. “So this Thursday it’s spring? Then it’ll be warm?” he asked as he walked away. Oh. Well, I wouldn’t want to say it in a bad way so thanks for correcting me, Aaron. HIS FACE: Last night after Aaron brushed his teeth, he came in our bedroom to tell me something that was very exciting to him. And he leaned in very close to MY face so that I could hopefully see the holes in HIS face. “Those are for SWEAT! !” he informed me. And with that, he was off to bed and I was off to have a good laugh behind the closed bathroom door. He and I went to Dillon’s this morning on his way to meet his group. He was happy at Dillon’s today. For one reason, he got TWO containers of Pringles along with his flavored water. For another reason, Mom did not stand there talking to someone and totally messing up the routine. 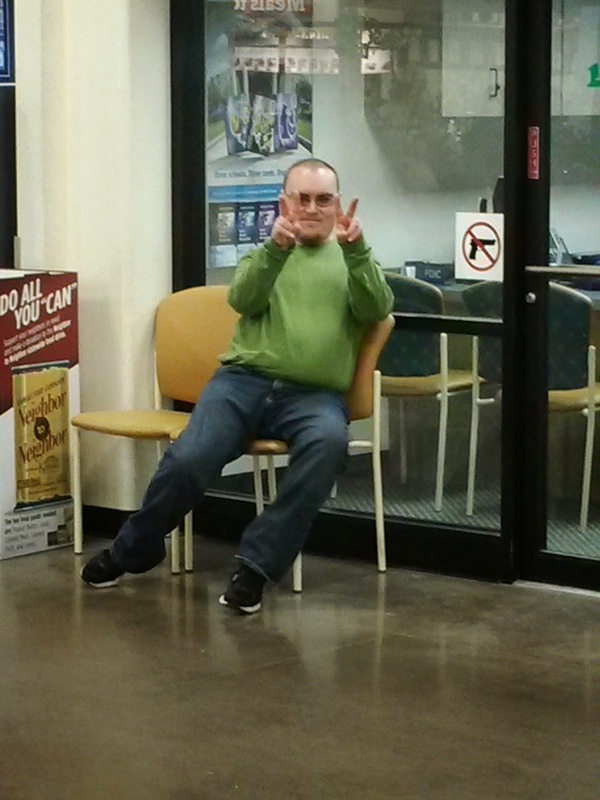 He sat on the chairs outside the little bank annex there as he waited on me to finish in the self-checkout lane. I turned to look at him and this is what I saw. Good old Aaron, still making his presence known in one form or another. I’ll take happy Aaron, though, in his green shirt…….or is it brown? Peace out…..and Happy St. Patrick’s Day! Author hesaidwhatksPosted on March 17, 2014 February 28, 2016 Categories Adult Autism, Asperger's Syndrome, Saint Patrick's Day, Time ChangeLeave a comment on Do NOT Talk About This Color Thing! 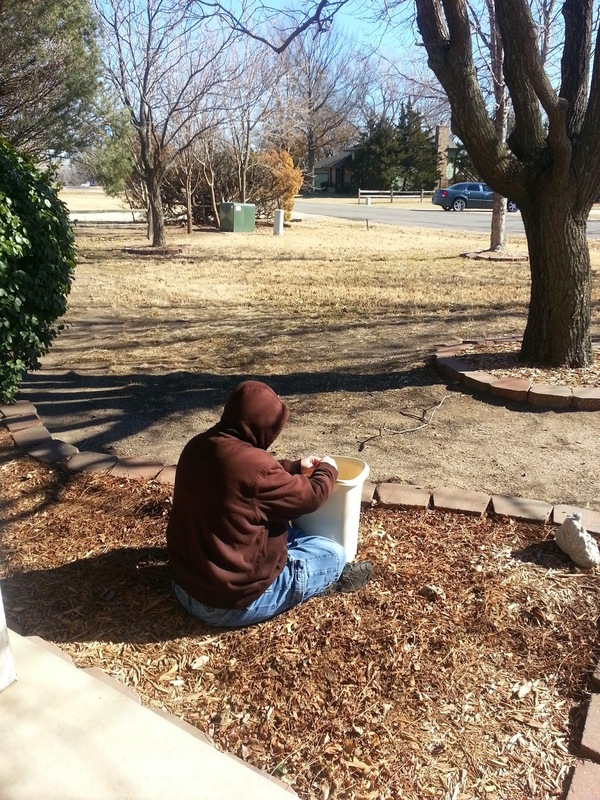 I’ve written in the past about how much Aaron likes to sit in our mulch around our trees or in our flower beds, breaking the small wood chips into very small pieces and watching them fall into his special trash can………his mulch trash can, we call it. This is Aaron’s way of relaxing. He often makes up stories in his head during his time in the mulch. It’s a harmless way of decompressing and dealing with life that he began when he was very young. Neighbors or people who pass by have often wondered what on earth Aaron is doing sitting for long periods of time in the mulch or out under a tree near our garden where there are plenty of old leaves and twigs on the ground that also suit his purposes. Just this past week our Tru-Green worker came to spray our yard. He and I were talking on the front porch when out bounded Aaron to see who Mom was talking to and to interrupt if he possibly could. This nice young man smiled and told me that he had met Aaron. I could read the meaning behind that smile. Aaron is unforgettable on several levels. Then he said that on the day he met him, Aaron was sitting in the mulch pulling weeds. I did not correct him in front of Aaron. He isn’t the first person who has thought that Aaron is pulling weeds. One day a woman walked past our house as Aaron was in the mulch under one of our trees. She smiled broadly at Aaron, her pony tail swinging as she briskly walked. He, of course, ignored her. So she happily said something to Aaron about all the weeds there are to pull. He looked at her strangely, and the only thing he said to her was, “What?” So she perkily repeated what she said about weeds……….and he just stared at her as if she had just landed from Mars. I wonder what she wondered as she walked away. Gary and I have recently discovered that Aaron has developed an indoor way of relaxing that is similar to his mulch. Peanuts. Aaron loves the peanuts at various restaurants, so I started buying him his own peanuts to have at home. He loves the huge bags of peanuts from Sam’s. There is comfort for him in knowing that he has a huge stash of peanuts on hand. He eats them when he watches television in the family room. 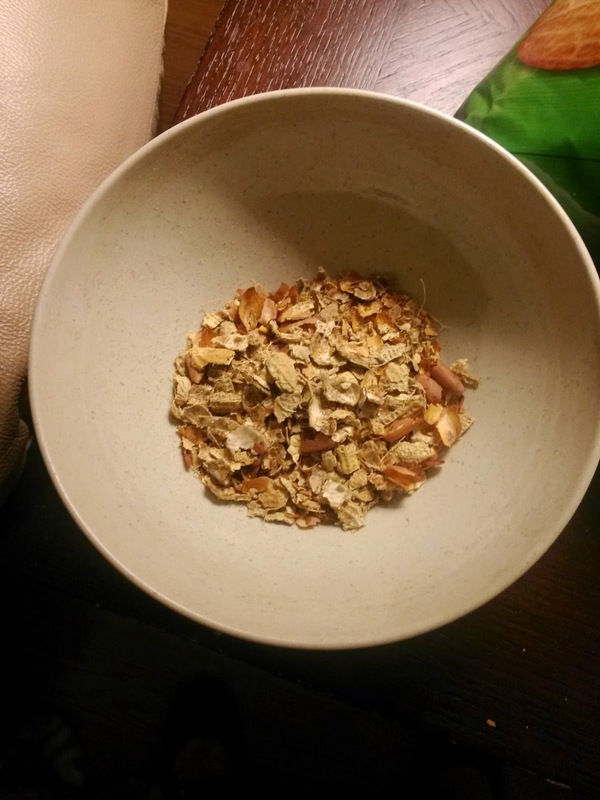 On his lap or on the ottoman in front of him he places a bowl in which he drops the peanut shells and the inner peanut hulls…….peanut wrappings, as he calls them. 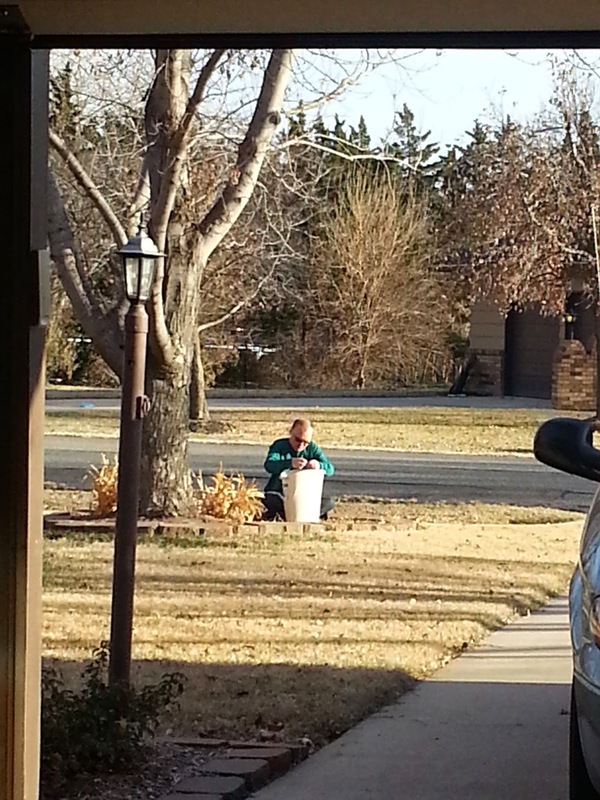 One evening I watched him as he ate and I realized that he was hunched over that bowl, looking down into it just as he does his mulch trash can. I watched him out of the corner of my eye and saw that he was breaking the shells as best he could, just like he does the mulch. 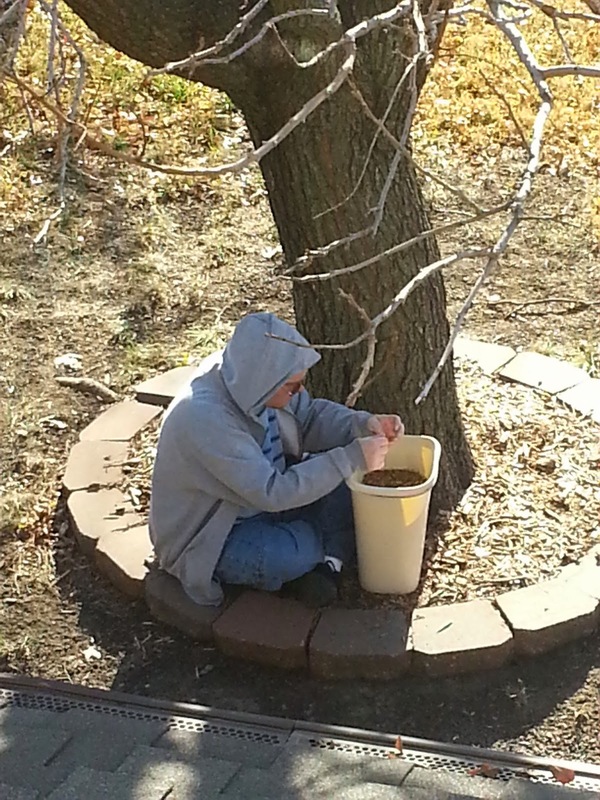 There’s a certain way that he moved his hands and dropped the small pieces into the bowl that was just like he does out in the mulch……and I knew that his indoor peanuts had become just like his outdoor mulch. How interesting! Now Aaron has an indoor way of relaxing, so to speak, although slightly fattening. It’s another piece of the puzzle that makes up Aaron. We continue to find that there are still pieces of his puzzle to add. It’s like Aaron is never totally finished as we discover more and more about him. 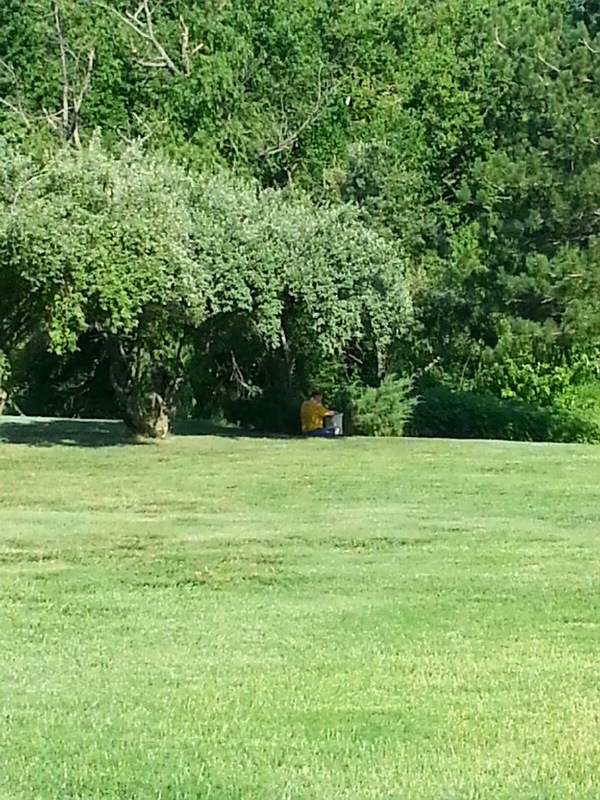 I know that others, especially, find him hard to understand….such as the woman who walked by the yard and said something to him about pulling weeds. Yesterday morning I had an experience with a woman who was confronted with Aaron in all his glory……and she didn’t keep her wondering to herself. Aaron has had an up and down week. I think he needs some major mulch time in order to relax! Even peanuts aren’t quite doing the trick. Anyway, he and I ran into Dillon’s yesterday morning on our way to meet his group. He got a drink and I picked up something for our elderly neighbors. The attendant at the self check-out lane is familiar with me and so we struck up a conversation. She was asking about our neighbors whom she also knows, and so we stood there talking………and Aaron began pacing. This is a sure sign that he is frustrated. I acknowledged him, but kept talking. Again I told Aaron that we would leave in a minute. I turned to look at him and saw that his eyes were big and his face was red. Her comment took me off guard. I didn’t expect such bluntness, especially in front of Aaron. He does see and hear, you know. In her defense, Aaron was being very unusual and very bold…….especially when you don’t understand him. I will give her the benefit of the doubt and assume that she was just asking a generic question about him…….not asking about his disability. But really, can you not look at Aaron and know that he is special? I could tell that she was irritated with Aaron……and I also saw that the two women near us were also looking at him, as were the bank clerks behind the counter there. It was one of those “Just slap me in the face” moments. I quietly told her that Aaron has autism and that he gets very focused on keeping his schedule. I could have said much more, but I didn’t. Not in front of Aaron….and in front of all the other people staring at us. I just hope that she will learn to be understanding in these situations. The last thing I needed was to have my nose rubbed in the reality of my son’s behavior. I have a way of shrugging those things off and of understanding the other party. And I need to often remind myself to extend that same grace and understanding to Aaron……who sure can get under my skin at times like that. Understanding him is key to living with him or working with him in any setting. Not excusing……..but understanding, even when the puzzle pieces aren’t coming together the way we think they should. Maybe I should have just driven Aaron and I both home, grabbed his trash can, and BOTH of us sat out under the tree, picking in the mulch and unwinding. Or at least grabbed the bag of peanuts and a bowl! 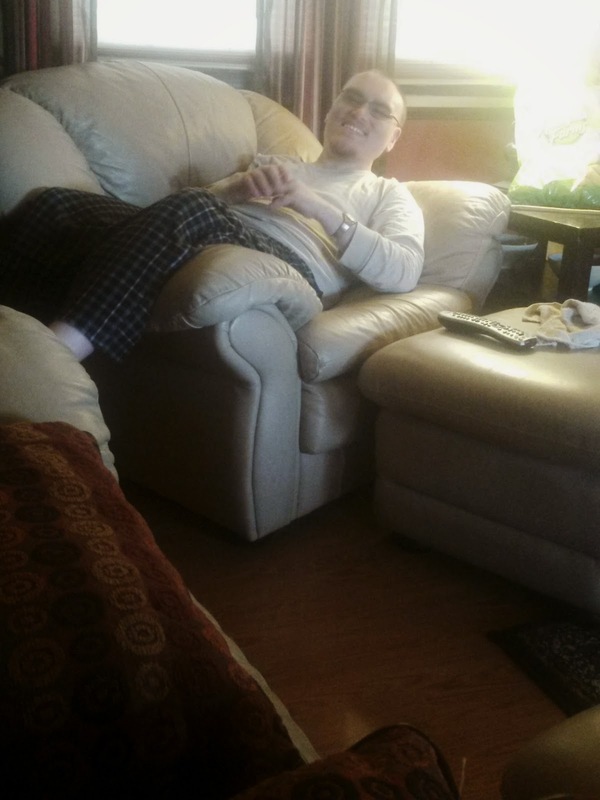 Author hesaidwhatksPosted on March 15, 2014 February 28, 2016 Categories Adult Autism, Asperger's SyndromeLeave a comment on What’s Wrong With Him?